These little Banana Bread Bites are a fun way to use up that banana bread. 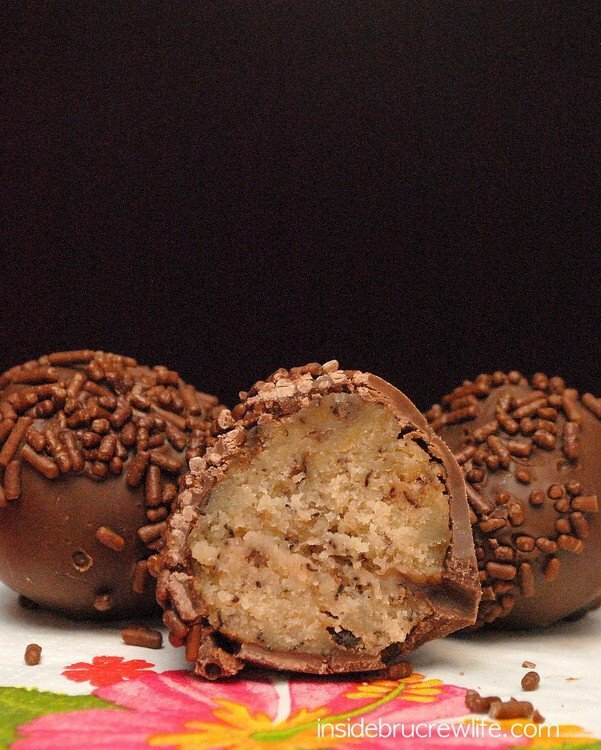 Roll them in balls and dip in chocolate for little banana donut treats. Someone wanted to know how much willpower I have? and how do I keep from eating a zillion of everything I make? She wanted to know if I give stuff away, freeze stuff, or my favorite…staple my mouth shut! LOL! You had me rolling girl! Seriously, I don’t have much willpower when it comes to sweets! I honestly could eat sugar stuff every day…maybe even all day! Sometimes I do freeze the cookies and bars and use those for kid’s school lunches. I have found that I won’t touch it if it is frozen, but I know that doesn’t work for everyone. I have never tried stapling my mouth shut…although, that is a great suggestion! This week I am trying very hard to eat healthy. I even went so far as to say I wasn’t going to eat sugar until Saturday. That is going to be tougher than I thought. Is is cheating if I licked the banana bread batter off the spatula??? Ok, I even ate two Banana Bread Bites last night. Someone HAD to eat the cut up one that I took pictures of today! But other than that…no sugar!!!!!! I will keep you updated on that and my workout progress!!! But enough about that for today…on to the good stuff!!! It has been far too long since I made some sort of “bite”! And this bread was calling out to be rolled and dipped. These little Banana Bread Bites are just little chocolate covered banana donuts. Yum! Sounds like breakfast to me. These little Banana Bread Bites are a fun way to eat banana bread. 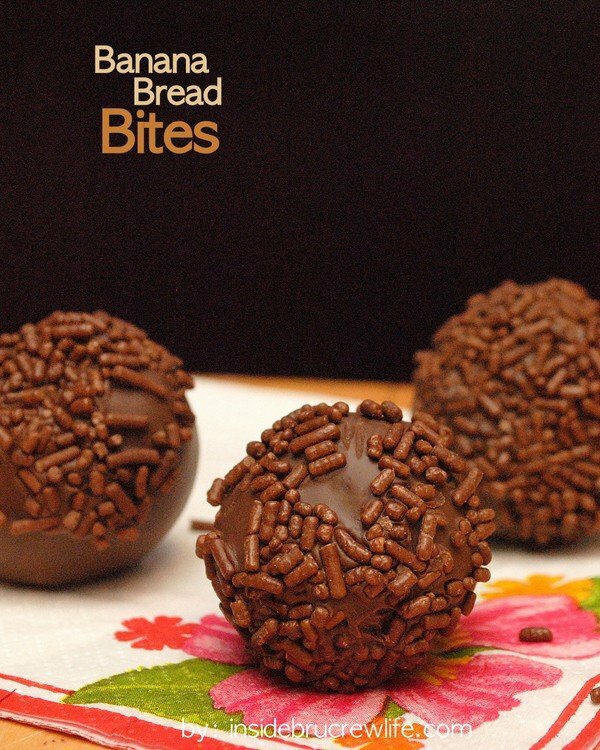 Roll the bread into little bite-sized balls and roll in chocolate. 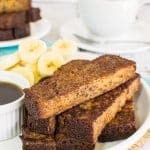 Cut the banana bread into small bite sized squares. Roll into donut shaped balls. Place on a wax paper lined tray in the freezer for at least 30 minutes. Place the melting chocolate and shortening in a microwave safe bowl and heat for 30 seconds. Stir and repeat. Stir until melted and creamy. Use a toothpick to dip each banana bread bite into the chocolate. Use a spoon to help cover the top. Tap on the edge of the bowl to remove the excess chocolate. Place on the wax paper lined tray and twist out the toothpick. Cover the hole with a little bit of chocolate and then top with sprinkles. Let set. Keep in a sealed container on the counter. « Colour Q challenge and Guest Posting! Think I may have to add this to the menu for mother’s day brunch!! Wow I think this would be a WINNER. Thanks so much! 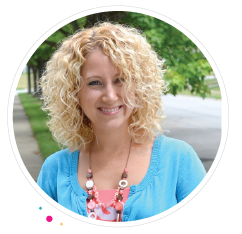 I found your blog through the Tuesday Night Supper Club! The name of your recipe was intriguing! I am a big fan of Banana Bread. I have some sitting on my kitchen counter right now! Your Banana Bread looks so delicious. Its a “good thing”. Thank you for sharing and have a great day! Thanks so much for this new variation. I am so going to try this. 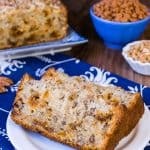 I make banana bread all the time, but I’m getting sick of eating it the same way. This sounds delish – thanks! That looks so yummy! On Monday I decided to cut out the sugar, too. I’m trying to do it for 2 weeks. :S Good luck! Hmmmmmmmmmmmmm! Cant’ wait to try these! I’m glad I found your blog post on What’s Cooking Wednesday. Happy to follow. I just found your blog and am your newest follower. These look AMAZING! Thanks for sharing this must-try recipe. ummm…wow. those look amazing and addictive. 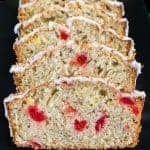 i love banana bread and your variation is GENIUS! I’m putting this on my blog. So cool. 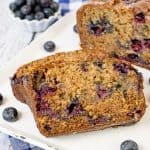 I make banana bread a lot–this would be a fun variation! As always—looks so delicious! I love this idea, too. It would be fun to give these to the kids like suckers or something. BTW, you linked up to my pillow case link party, so I moved you down to the regular EBTKS link party. Sorry for the confusion! Thanks for linking! AMAZING! Such a yummy sounding twist on cake pops! ooooooh yum! THis looks delicious! I was thinking recently that I need to make some banana bread. I will have to try this when I do. I found your blog through Sweets For a Saturday. those look so yummy! 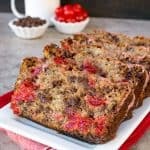 I’m a huge fan of banana bread I make it a lot and add chocolate chips once in a while for a sweeter treat. It’s ok to eat these for breakfast, right? I mean, it’s banana bread after all. This looks devine! I’m sooo making these! Hopefully next weekend. Thank you for sharing. 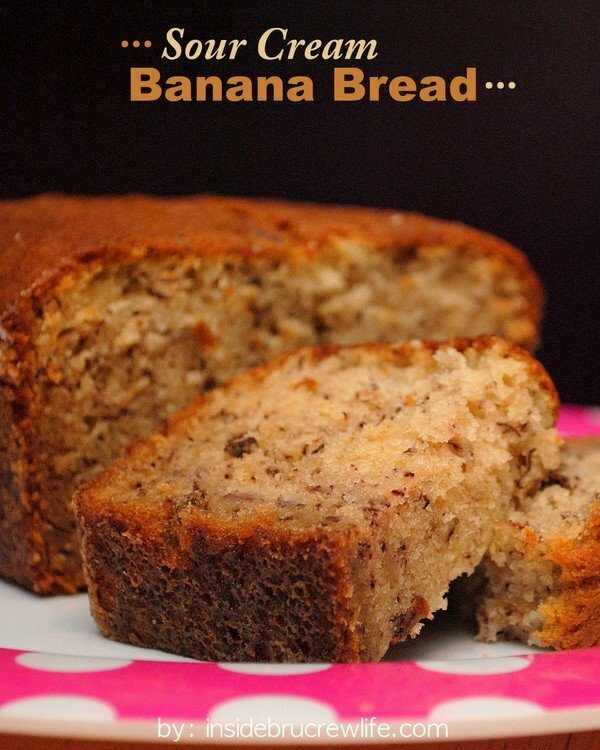 What a great idea to use banana bread! Love it! What a great idea! I’m always looking for new ways to use up brown bananas, the more chocolate, the better. *drool* these look so so yummy… i want to make them right now! Mmmm…bananas and chocolate are two of my favorite flavors together. You always have a knack and creative flair for combining flavors for maximum delicious effect, and with terrific style as well! Thank you so much for being a part of “A Little Birdie Told Me…”! I LOVE your blog! 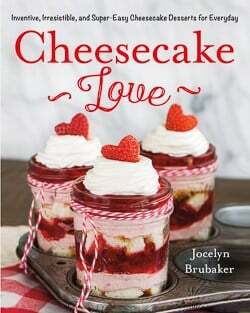 You have such fun crafts and yummy recipes! Thank you for all you share! YUM!! I’m going to add chopped nuts! This is the best recipe! My hubby came home from work and ate half the loaf! Lol I added cranberries. in this last one, tasted great. 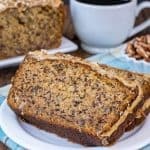 The banana bread is a very nice recipe. I doubled the recipe to get 2 loaves and substituted plain greek yogurt for the sour cream. This one is a keeper. Shortening is a solid vegetable oil. I use it to thin the chocolate out a bit for dipping. You can use butter in place of it if you like.